HomeCinemaMasalaRakeysh Omprakash Mehra goes back to Ladakh after Bhaag Milkha Bhaag. Rakeysh Omprakash Mehra goes back to Ladakh after Bhaag Milkha Bhaag. 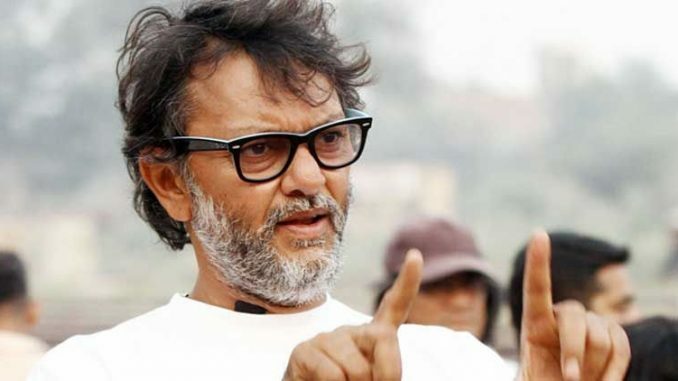 Rakeysh Omprakash Mehra seems to have developed a liking towards Ladakh. He is back again in the valley, shooting for his next ‘Mirziya’. Rakeysh had shot his previous -‘Bhaag Milkha Bhaag’ in Ladakh. The ace director explored Ladakh to the ‘T’ while filming ‘Bhaag Milkha Bhaag’. In fact, Rakeysh shot the most important training sequences for the film and since then it has just been etched in everyone’s mind. Now with Mirziya he has again gone back to Ladakh to shoot an important scene. Rakeysh and his team are tight lipped about the sequence and doesn’t want to divulge any details. The security has been beefed up around the shoot location just to keep things under wraps. ‘Mirziya’ promises to be an altogether different experience as it will be Rakeysh’s first contemporary love story. ‘Mirziya’ stars Harwardhan Kapoor and Saiyami Kher. How To Look Gorgeous In Pictures: It’s Easy!